The organisers of The National Running Conference in partnership with Running Imp have confirmed Tony Craddock as a speaker. Tony is director general at the Emerging Payments Association (EPA), the UK’s most influential trade association in payments. He founded the EPA in 2012 and it now boasts a community of over 130 members who share the EPA’s vision for the UK to be the global hotspot for payments innovation. Tony is a lively public speaker and an avid networker, and he is passionate about the difference emerging payments can make to lives everywhere. Tony will be leading a panel session entitled ‘Emerging Payments: Now and the Future’, which will be highly relevant on the agenda of this industry-leading B2B conference. The session takes place from 3.45pm-4.15pm and will cover topics including payment systems now and in the future, key benefits of the cashless economy, innovation technology, and frictionless payments and opportunities for sports businesses. The session will close with an expert panel discussion. Tony certainly has plenty of experience public speaking as he regularly speaks and chairs at conferences, in addition to publishing books and white papers and enrolling payments leaders to join him in his mission to improve lives everywhere. He will be sharing his extensive payments knowledge with the audience at The National Running Conference, borne from a decade of working within the payments industry, championing payments technologies globally and supporting new innovations. Craddock joins a first-class line-up of speakers already confirmed for The National Running Conference. Also speaking on the day are Nick Pearson, CEO of parkrun Global Ltd, Neil Venables, General Manager of Intersport UK & Ireland, Alistair Cameron, CEO EMEA of ASICS, Kate Dale, Strategic Lead for Campaigns at Sport England, Gareth Mills, Country Manager UK at Strava, James Robinson, Chief Commercial Officer of Limelight Sports, and Tony Post, CEO of Topo Athletic. International announcer, broadcaster and presenter Kris Temple is the event host. The National Running Conference in partnership with Running Imp is the first B2B conference of its kind. It will see brands, retailers, race directors, official bodies and community sectors come together under one roof to share their knowledge, voice opinions and look at current and future trends in the running market. For any business related to running it promises to be an inspiring and insightful start to 2019. Confirmed sponsors and partners for the event include Sports Insight, Runner’s World, Running Imp, 2pure, England Athletics and Harrison Creative. Sutcliffe Insurance will be exhibiting at the conference. 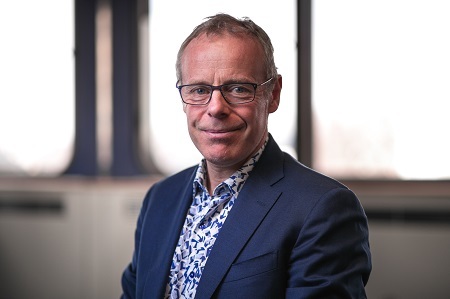 Mike Seaman, director of The National Running Conference, said: “We are delighted to welcome Tony Craddock as a speaker to The National Running Conference. Tony has unrivalled experience in payments systems and it will be fascinating to hear his thoughts on emerging payments now and in the future. Anyone wishing to purchase a ticket for The National Running Conference 2019 can go straight to nationalrunningconference.com. Tickets cost £350 per person (until December 31) including networking, access to all the talks and lunch. The National Running Conference in partnership with Running Imp takes place at the Hilton Birmingham Metropole, NEC, on Friday, January 18, 2019. The National Running Show takes place at the NEC on January 19-20. Go to http://www.nationalrunningconference.com for further event details. Like the Facebook page and follow @nationalrunconf on Twitter and LinkedIn.